They always appear in times of trouble. Sometimes we may feel trapped in a bubble. They are their restoring fail, restoring faith. The heavenly messages sent from God above. Never doubt the existence if these wonderful servants. Bringers of hope are these divine messengers. Taking us by the hand when we need them most. They are not here to judge nor condemn. They walk with us, talk to us, laugh with us. We sometimes wonder why we create such fuss. God sends his Angels when people need them most. We are invited to a banquet where God himself is the host. 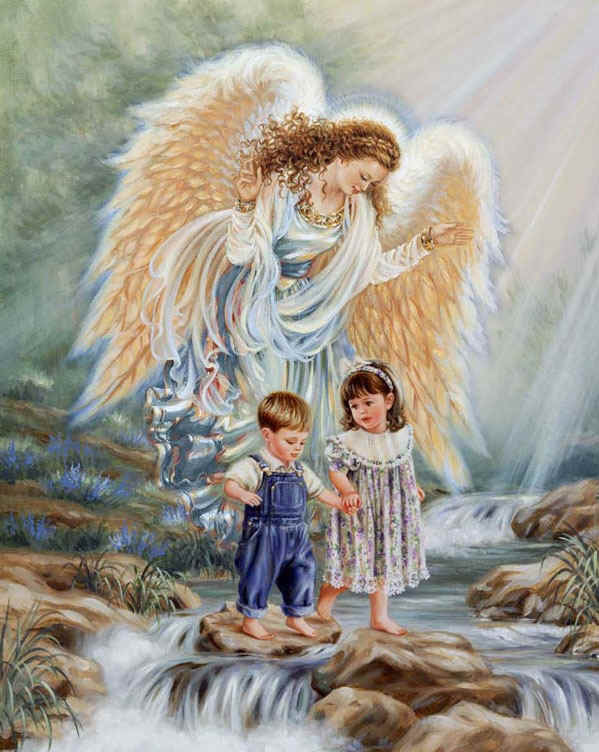 Give thanks to God for the gifts of Angels. They are never far away or strangers.